Quora is big and demanding name these days…. A exponentially growing social networking website which give solution of any question belongs to any niche comes in your mind and answer given by like minded experts. But with this benefit Do you know, you can also use this platform to grow potential traffic to your website and increase ranking? If yes then great!!! you can read if something you have missed and if you are not aware of then I am here to help you out for each and every steps you need to move to accomplish this task. I recommend to read basic Quora guide Before start quora marketing guide so you can understand this post very well..
Quora is not a platform for advertise and even it hasn’t given any facility to promote your business in exchange of money but you can use this resource to build your brand easily. It can bring massive traffic to your blog, profile and generate leads. Similar to Answer.com and yahoo answer but become big brother now . Quora has more than 100 Million user and growing everyday but If you observe then you find not more than 1% people used to write on Quora, most of them are just a reader..so if you write something about your field then 99% people just follow you . Best thing about Quora is that you can catch special niche interested people easily and Drive long-term traffic to your website. Monthly traffic approx: 222 Million(April 2016) as per similarweb. Country mainly use: USA, India, UK,Canada and Australia. User : Probably more than 100 Million . Feeds are the topics related to all niches. you can add your favorite niche so you can view, write or comment on question belongs to that particular topic. People may visit your profile to find your expertness or niche you belongs. So please make sure you update your profile to grab attention of more and more user and that also leads to get more upvote (way of agree with any answer). 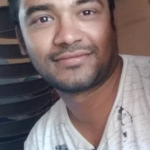 By asking question and providing answer are best way to reach more and more people ..If you are expert in any field then provide all information what people expected from expert If they like your way of writing then you will get more upvote, people follow you and also start reading your all answer . 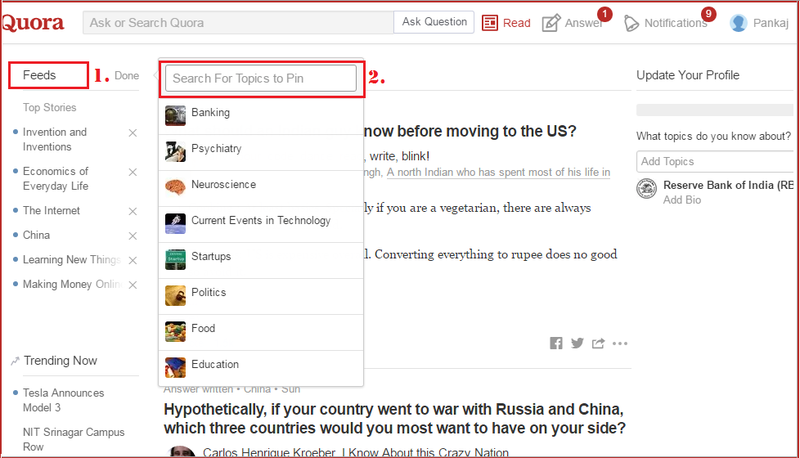 In order to ask question just click on Ask Question button at middle top of your Quora, as below . If you want to answer those questions belongs to your niche..then just click on Answer link in same line of Ask question as below. You can check your stats of your question, answer or any post by just click on stats as below so you can see what thing attract more people and which day attract more. With small analysis you can reach out to more and more people. For getting more upvote on your post, it must be perfect with format, wording you choose and way of writing. So take more precaution while choosing word in writing any answer. Follow below points. write answer in small paragraphs. Provide fact in support of your point so increase people trust on your answer and post. Use simple English word so every one means non native English speaker can understand. Use bold, italic format to show any special thing. Link to any site for support your post . Someone says “A picture is worth a thousand words” .So image in quora post may attract more user and help people to understand easily what this post is all about but remember your picture must be related to your post other wise please don’t use images. If many people answered same question and only one person use Image then reader are a naturally drawn to images and read first. User more engage with first answer and upvote more as compare to others. Try to answer as quickly as possible so user do not have any other answer to compare with your answer. Integration of Quora with the social networking giants – Facebook and Twitter give it more user base and help in expanding this platform exponentially. You can share your content on any of the social networking website and it allow “auto sharing” once you connected other social networking with same profile . 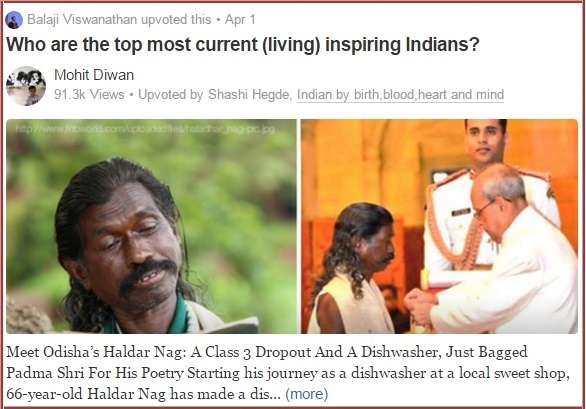 Smart way to get more exposure from Quora is by start writing blog on quora itself. Quora provide option by which you can create your blog with unique name and open your blog directly by uniquename.quora.com. In order to open blog select blog and fill information requested in the form like name, website URL and description. Then write post and submit ..once you submit it look like below. If you have searched any question on Google then you probably found few links related to Quora on first page of result because of quality content it have so it’s possible that your answer to a question could be ranked in the number one result spot for a given term. Here you can easily find currently what thing roaming in people’s mind and what topic we should focus in our field to get more engagement. It also show trending of new topic running mostly so you can predict…you can ask opinion of people related to any topic or check highest upvote answer so you can find what answer people expecting. More you participate in questioning and answering, more people you can attract.